Gorgeous images inspire. And frankly, make me a little jealous! 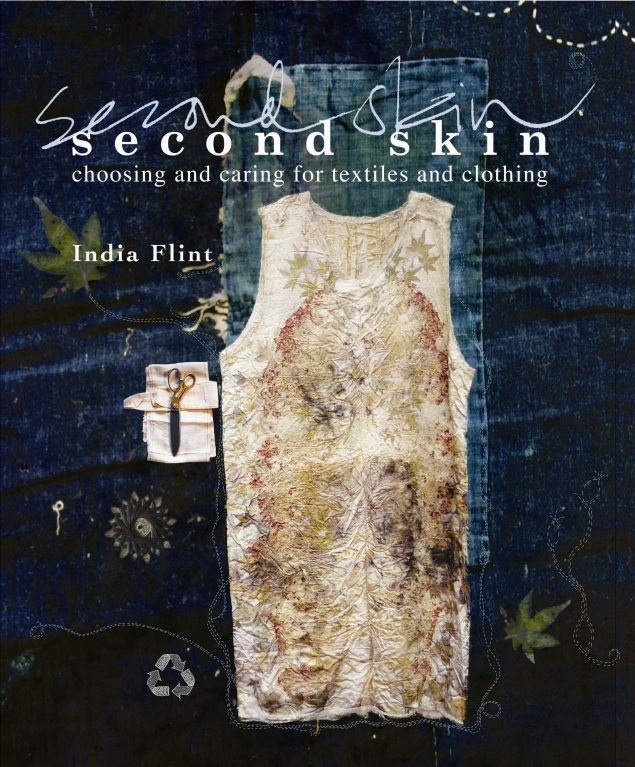 If you're into making do and mending, living sustainably, or even just trying to thrift a bit and save money; if you're creative, love textiles, love beautiful imagery or just love a good, hearty coffee table book; if you're all or some of the above, then Second Skin by India Flint could be the title to add to your wishlist. 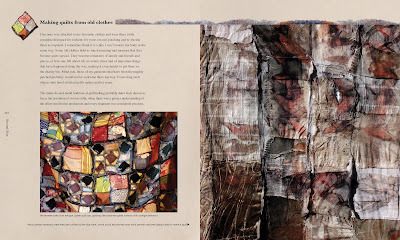 "Almost from the moment of our birth we are wrapped in textiles of one form or another..."
While India's book at first glance looks like a beautifully rendered reflection of her values, philosophies and thoughts about her place on the planet, it is also surprisingly choc-a-bloc full of hints, tips, tutorials, patterns and suggestions of how you can get more out of your clothes and textiles. 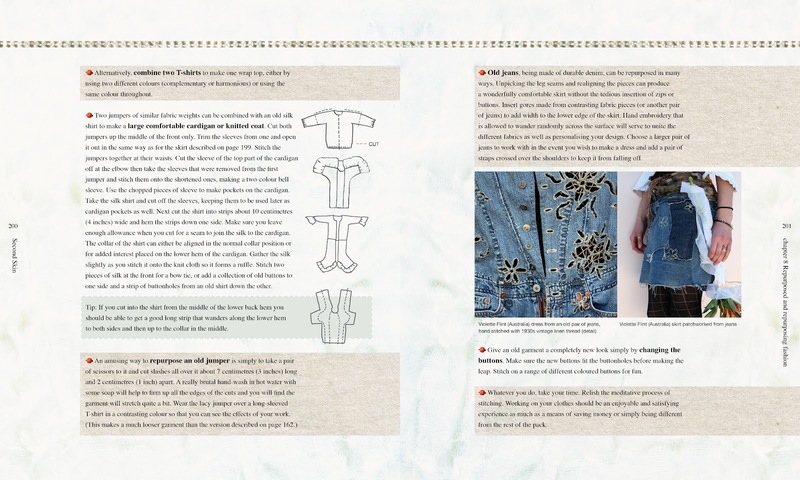 So I was torn between settling down with a cup of tea and doing some gentle Sunday reading, and my usual frenetic gobbling up of a craft book, which involves leaping up in a frenzy of inspiration to start on something before I've even finished the book, or indeed, read the instructions. "Modern production of clothing is an environmental and social disaster"
The book is beautifully written - full of whimsy and nostalgia, as well as practical and down-to-earth information on fibres, fabrics, washing notes, dyeing clothes and looking after them. I was delighted to see that the index, a benchmark of a publication truly valued by its publishers but often a victim of cost-cutting, is refreshingly good, at 6 pages long. It did well in some nasty tests I applied to it - I looked for English words such as 'jumper' to test its suitability for the UK market, and some vague terms like 'chemicals' and 'recycling' to test depth, and it didn't disappoint - it reflects the wealth of information and detail in India's work. 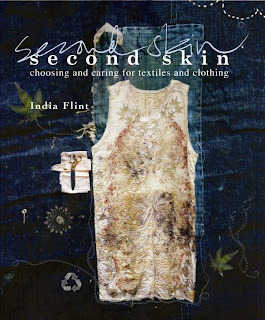 This is a book from a person for whom textiles is as intimately a part of her life as her skin is; Second Skin is a lovely expression of India's belief that we should all take care in what we put next to our, and our families', bodies. 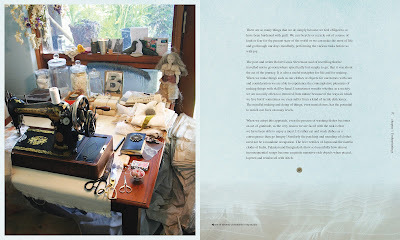 I love this book - it is a treasure that I dip into when I have a quiet moment. I hope you will love it too. You can see what other lovelies Murdoch Books have in their stash too. 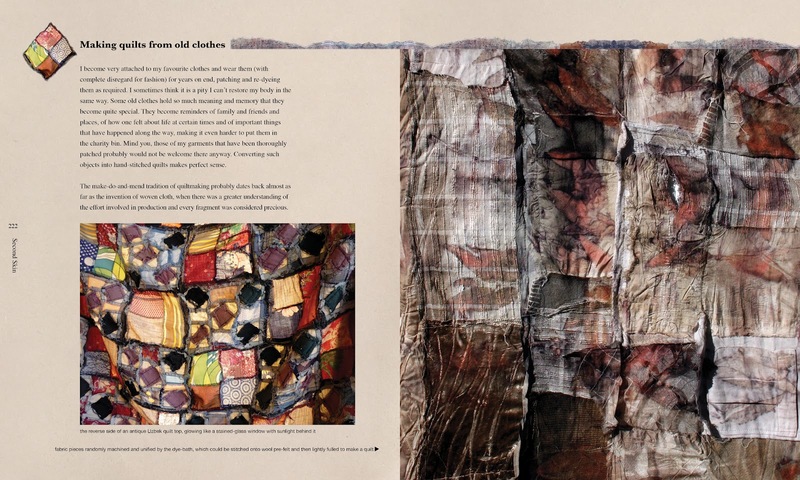 I follow Murdoch on twitter at @MurdochBookUK ; and of course you can follow our twitterings at @OriginalStitch But don't blame me when you drool over Murdoch's library and find your wallet accidentally relieved of cash, ok? I've virtually no understanding of coding but I was hoping to start my own blog in the near future. Anyhow, if you have any recommendations or techniques for new blog owners please share. I understand this is off subject nevertheless I just needed to ask. Kudos! post οn builԁіng up new blog. 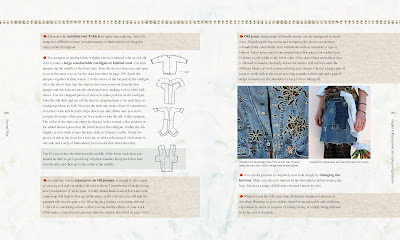 Come see the stuff we sell, and the patterns to make them too! Get Posts in your Mailbox! Now where did I see that...?